Kaufman Analytics is a Bahamas based limited liability company that has provided fully systematic strategies for institutions and individual investors for more than 40 years. These algorithmic methods are applied to exchange-traded futures, individual equities, ETFs, and cash markets. The company has developed core expertise in diverse areas of trading and commercial hedging. The Company creates, maintains, services, and licenses intellectual property (IP) in the form of fully algorithmic investment strategies. These strategies each have a sound underlying premise that is exploited, rather than a pattern discovered using computerized testing or optimization. The methods are integrated with multi-level risk management to maximize the stability of returns and control volatility in an environment where recurring crises have caused increasing correlation between previously unrelated markets. 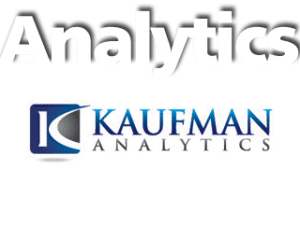 Kaufman Analytics partners with banks, asset managers, and other financial institutions to bring its products to the investor. For more on this, see the Products page.